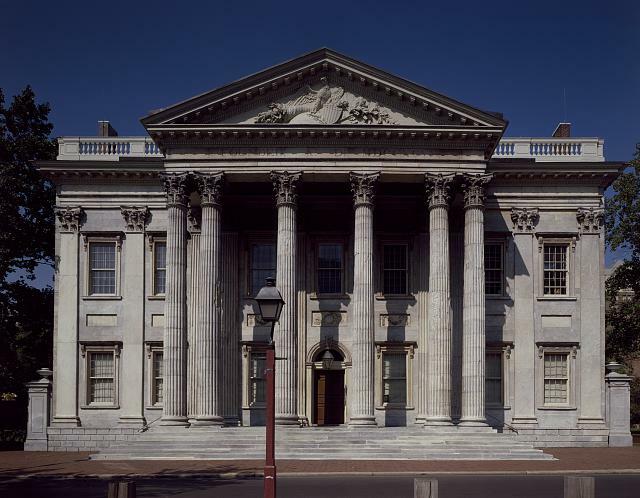 Photo of the building for the First Bank of the United States, Philadelphia, Pennsylvania. The building was commissioned by Treasury Secretary Alexander Hamilton. Accessed from http://www.loc.gov/pictures/item/2011633532/. Credit: Carol M. Highsmith, from the Carol M. Highsmith Archive, Library of Congress. These publications reflect the history of central banking, specifically, the First and Second Banks of the United States, and the founding and history of the Federal Reserve System.